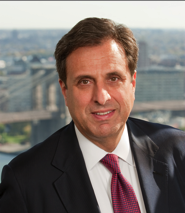 Our partner, NYC Medical Malpractice Attorney Jeffrey Bloom will be Co-Chairing “Lets Talk… All Things Med. Mal.”. Organized by the New York State Trial Lawyers Association, this seminar will take place at NYSTLA office in Manhattan on January 23rd from 6:00 to 9:00 pm. Presented as a round table type discussion, the seminar will address all the aspects of a Medical Malpractice Trial – jury selection, opening statements, direct and cross examination as well as summation – from the different perspectives of the plaintiff, the defendant and the Court. • How does each stage build upon the next? • How can you keep the jury engaged? • How can you keep it simple but interesting? • How can you present yourself, your client and your case in the most favorable light for the jury? • How can you tell a compelling story? • How can you WIN? Participants will earn 3 skill CLE credits. The program is approved for transitional & non-transitional credits.